The HSV Stealers continue to improve their team for the upcoming season in the German Baseball-Bundesliga. 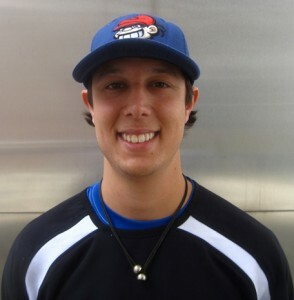 The 27-year-old American right-handed pitcher Justin Prinstein is returning to the club from Hamburg. The newly assigned pitching coach of the Hungarian National Team already helped out the Stealers during their stretch run last summer, allowing three runs (1 ER) on nine hits and ten walks in 17 2/3 innings, striking out 15. He will arrive in mid-April. Detroit native Prinstein came from the Almere Magpies to Germany, where he had pitched one and a half seasons. He also has played in Belgium, Israel and Australia in the past. Before coming to Europe he had attended the George Washington University (NCAA Division I). The Stealers already have added Jakub Vojak, Rene Herlitzius, Max Warren and Sam Boone to the roster of head coach Jens Hawlitzky. In 2010 they were 12-16 and finished in fourth place in the northern division. In the quarterfinals they lost in four games to the Buchbinder Legionaere Regensburg.